This newest addition to the LCRx family features a fully adjustable rear sight, full-size smooth Hogue® Tamer™ grip, polymer fire control housing, aerospace grade aluminum monolithic frame and an extensively fluted stainless steel cylinder. 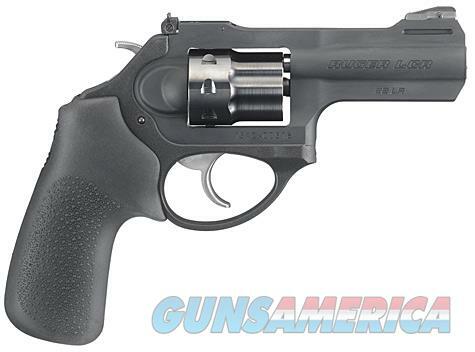 This new model expands the diverse Ruger LCR family, which features a variety of calibers and configurations. With an 8-round capacity, the .22 LR LCRx is the perfect revolver for range practice or to take with you on that fishing or camping trip. The 3-inch barrel, adjustable sight and low recoil make for a tremendously fun shooting experience. - Allows a variety of grip styles to be installed, leaving ample room for recoil cushioning. Includes a full-sized smooth Hogue® Tamer™ grip, which is highly effective at reducing felt recoil.